Anytime and at any age it is possible to talk about Surrealism. Anything that goes far beyond reality seems to already be close to our children and can be a great source of fun! 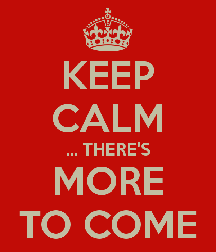 This season we are exploring culture, creativity and our imagination! Salvador Dalí was the first artist that we met. Dali wanted his art to make us think, wonder and ask questions, so we did! Based on his work, we had fun placing objects where they don't belong, transforming something familiar into something unusual and putting things together that never go together! 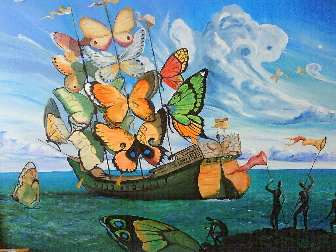 Dalí's paintings were inspired by his dreams and I think that we too are often inspired by ours! We had an incredible circle time talking about what is happening when we sleep and sharing what we felt. Everybody slept for one minute and then explained to the others the magic of their dreams. Some of them didn’t remember, others explained them in detail and some talked about their nightmares. This opened up a conversation about being safe and scared when an unreal situation happened. 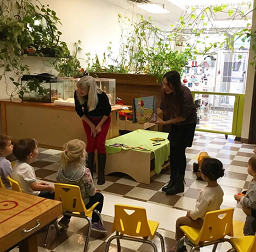 Learning to recognize their own thoughts and emotions as well as express them built up confidence and self awareness of what they were experiencing. Talking about our feelings always makes us feel better! Afterwards we met Joan Miró, an artist who created his own pictorial language. 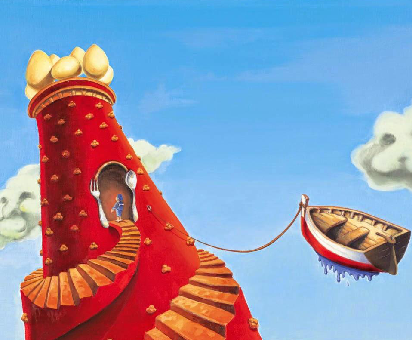 His paintings have simple colors, shapes, objects and a lots of fantasy! Blue, yellow, red, green and black were his main dressing. Stars, suns, moons, constellations and geometric shapes are the main ingredients. 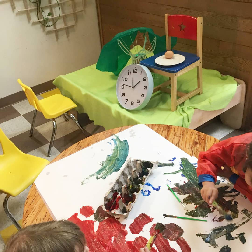 Miró’s technique brings the pictures to life, art in motion! Considering Miró’s style and technique we introduced and experimented with primary colors, markers, different sizes of brushes. 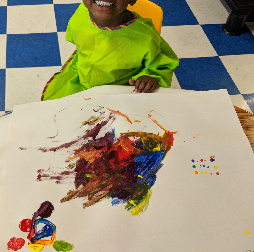 We painting with our hands, fingers and feet. 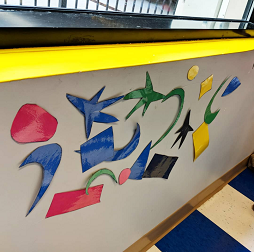 We also worked with lines, dots and perspectives... We even mixed colors, painted without seeing and reproduced one of his paintings to show them that simplicity is beautiful. 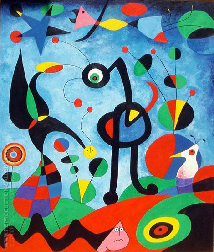 Miró always used simple forms and pure colors, all kids found familiar themes for them! “Funny drawings” I heard! Buddings’ Big Kids also did their own experiments to know more about the techniques! 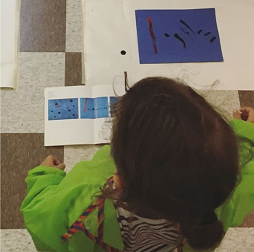 Visual activities and testing by themselves is what helps their curiosity grow. And it’s very true that when something has meaning to you, it remains! It’s been an intense season so far, plenty of colors, imagination, dreams and...a really special visit: Kat Munro, a local artist and an incredible teacher. She turned the kids imagination into real stories with only a paper roll and some markers! What is more important than keeping the story is the feeling of creating it. Thank you so much Kat for the amazing time, the master class and for choosing Buddings as the new home for Ballerina Ballerina! Adding to this point, it was great for the kids to meet an artist and explore with them all the magic beyond the words. When we identify the impact of art in our society we recognize our own preferences, values and beliefs. This is a great opportunity to talk about the resources behind the classes, I would love to share my references and recommendations! 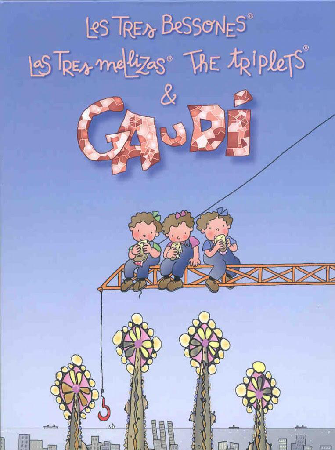 Pilarín Bayés is a well-known Catalan writer and illustrator of children’s stories. 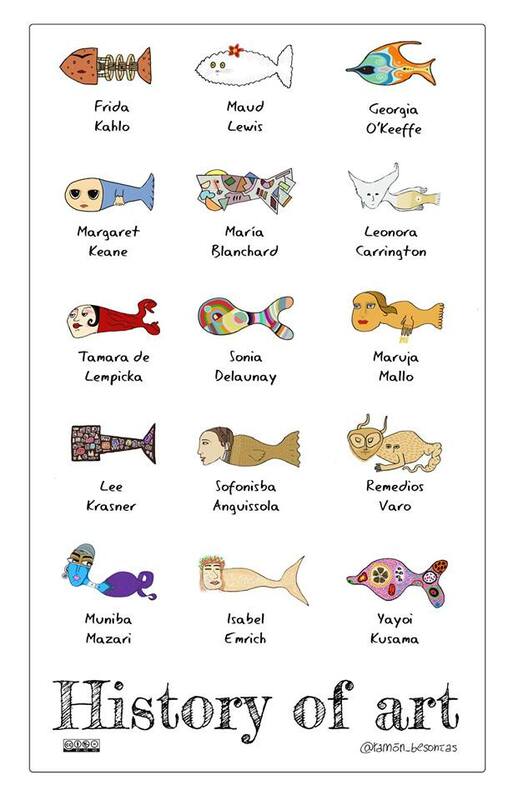 She created biographies of important artists and people, illustrated their lives, learning experiences, curiosities and more! Once upon a time there was a little boy playing on the beach when he sees something gleaming in the water. It's a little key that opens the door to a magic world where elephants have long thin legs and the clocks are melting like cheese. 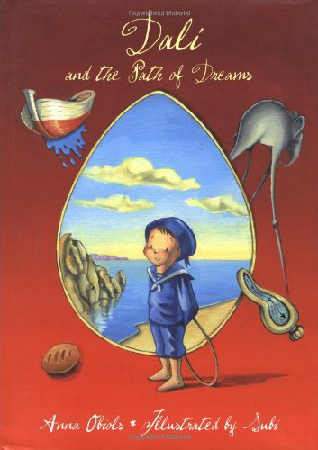 This beautiful book shows the key that opens the door to the imagination. The stunning illustrations are incredible and eye catching for kids! One of my favorite illustrators is Roser Capdevila. In 1983, inspired by her three daughters Teresa, Anna and Helena, she created the characters of The Triplets, whose books have been translated into 35 languages ​​and has led to the creation of a television series which has been issued in 158 countries. The plots follow a definite pattern: The sisters play some prank or manage to annoy the Bored Witch and then she sends them into a classical tale, legend, children's or adult's literary work. Highly recommended for having a great time and learning through friendship, teamwork and honesty. Good for laughs and the amazing illustrations! While we were talking about dreams it reminded me about Eduard Estivill's work. He is a well known doctor and a specialist in Sleep Medicine, his method and books are a great resource for guiding and improving child's sleep. 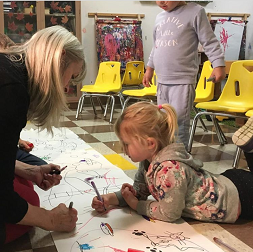 Artful fall classes are on Tuesday at Buddings on Broadway and Wednesday at Storybook Buddings from 1-4! 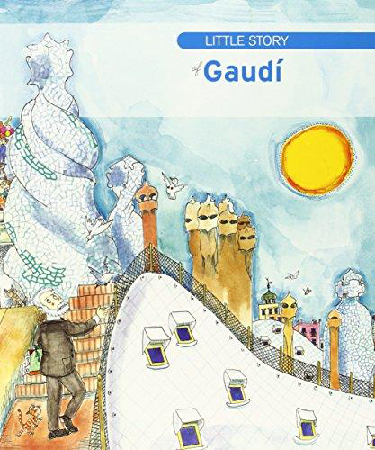 This upcoming month we will learn more about Joan Miró and introduce Antoni Gaudí!